The H3Z4512CS-IR Varifocal Lens (4.5-12.5mm) uses a CS-mount and is designed for low light/nominal light situations. The H3Z4512CS-IR is intended for use on a camera with a 1/2" sensor. The strength of the H3Z4512CS-IR is the capability to change the focal length (i.e. varifocal). In addition to the variable focal length, the lens allows for a very wide aperature range down to f/1.2 for low light conditions. 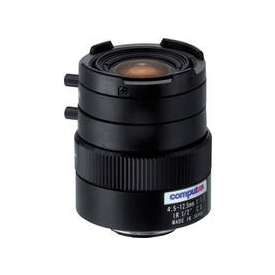 Did you see a lower price for the Computar H3Z4512CS-IR: 1/2" 4.5-12.5mm f1.2 Varifocal Lens? 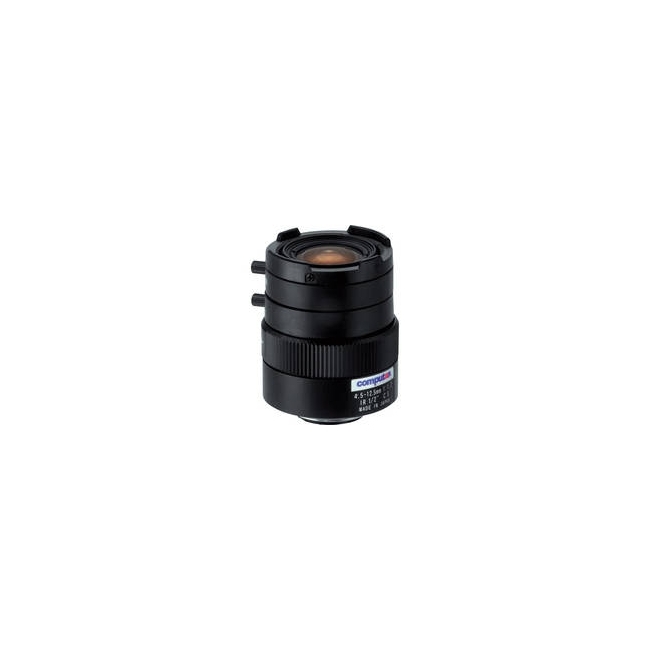 Do you have a question about the Computar H3Z4512CS-IR: 1/2" 4.5-12.5mm f1.2 Varifocal Lens?